Below is a sampling of presentations I have given with a brief synopsis. For a more complete listing of presentations that I have given, please go here. 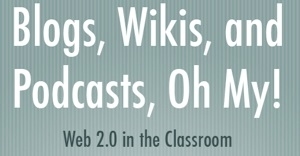 The use of Web 2.0 technologies in the educational environment can create opportunities outside of the classroom where learning can take place. These technologies can help create a learning community among the teacher, students, and others outside of the classroom. We all want our students to become writers. There are always those students who would rather pull out their teeth than write anything. When we add a multi-media component to our the publishing portion of the writing process, many times those hesitations disappear. Empower your students to create digital stories of their own in whatever form they take. Positive Behavior Support (PBS) is an excellent behavior program that can transform the culture of a building creating a universal language and universal behavioral expectations. To get your program up and going, it is important to get the word out about what PBS will do for your building to staff, students, parents, and community. Technology can be used to help with that mission. Here are some ideas that we have used at Wyman Elementary School. Extending the classroom outside of the school building can be quite challenging but in today’s information filled world it can be an effective way to continue learning for students. 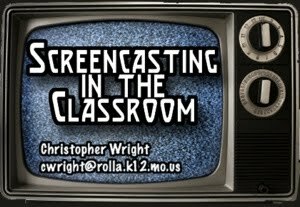 Screencasting is a technology that can give students that extra help in and out of the classroom. However, the power of screencasting can really be seen when students start using the technology to show off what they know. Teachers are stressed out and their schedules are full. Who has time to learn about the great technology tools such as QR Codes, word clouds, and web 2.0 technologies that are freely available? 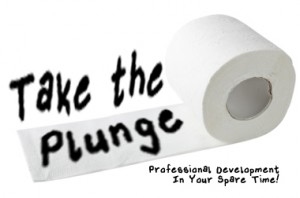 The presenters will offer teachers a low pressure means for acquiring new skills to use for themselves and their classroom. It’s PD without tears! Co-Presented with Christine Ruder.